Abstract: Investigating Disciplinary Literacy provides practical, research-based guidance for teachers seeking to strengthen students’ reading, writing, and communication skills in subjects from the humanities to the sciences. The authors present a framework for conducting professional development cycles based on disciplinary literacy-related learning and district-based research projects they have conducted over the past five years. The book outlines the steps in the cycle and identifies four “working habits” essential to initiating and sustaining disciplinary literacy projects: balancing content with process; creating a culture of adaptation and invention; attending equally to intermediate and subject-specific literacy skills; and positioning teachers and leaders as learners within projects. 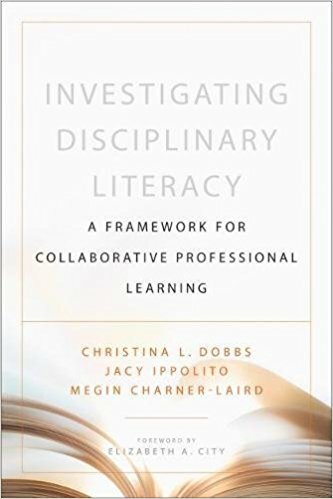 The book, written in a reader-friendly voice, shows how educators can collaboratively explore and implement disciplinary literacy-related practices in context-specific, meaningful ways.